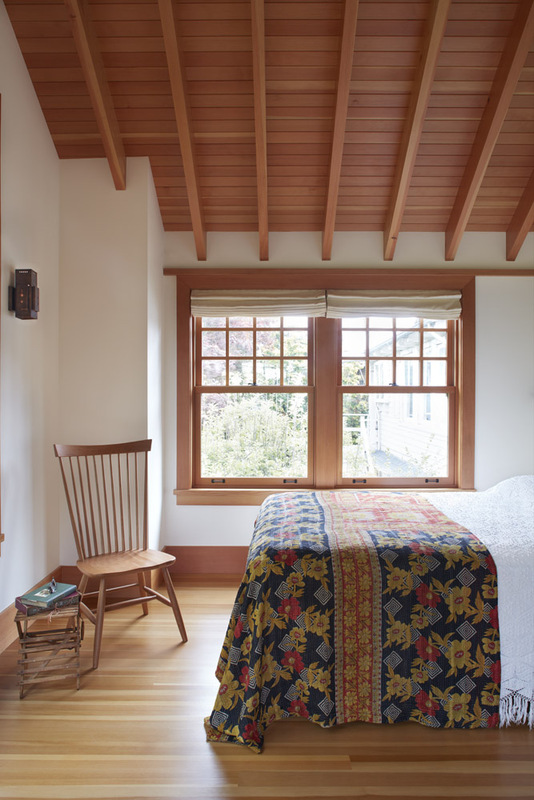 This addition and remodel brings modern amenities and efficiencies to a traditional Berkeley craftsman house built in 1909. 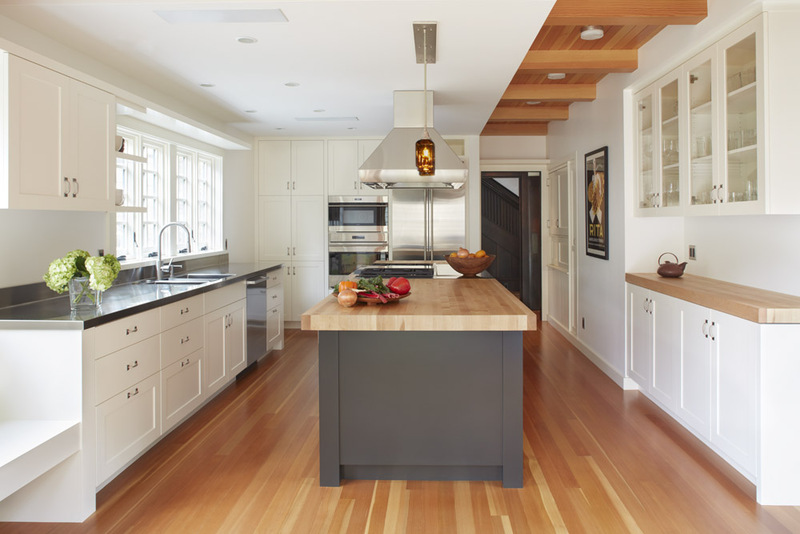 The client, an avid cook and former professional baker, wanted a restaurant quality kitchen work-space and commercial grade appliances without sacrificing the warm feeling of the traditional house. 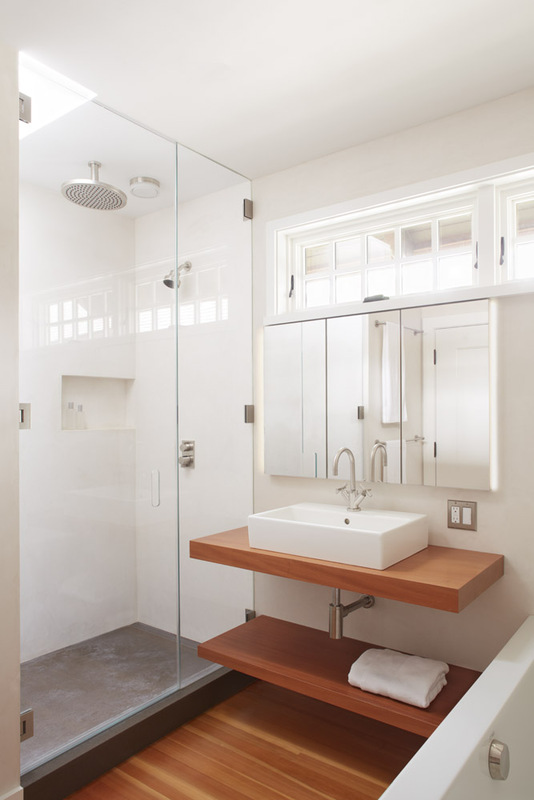 The Douglas fir wood floor and ceiling details add warmth to the space, complemented by chalky whites and dark grays. A generous island grounds the room and becomes the focal point for baking and eating. The end panels of the kitchen island can be removed to allow for cooling racks. 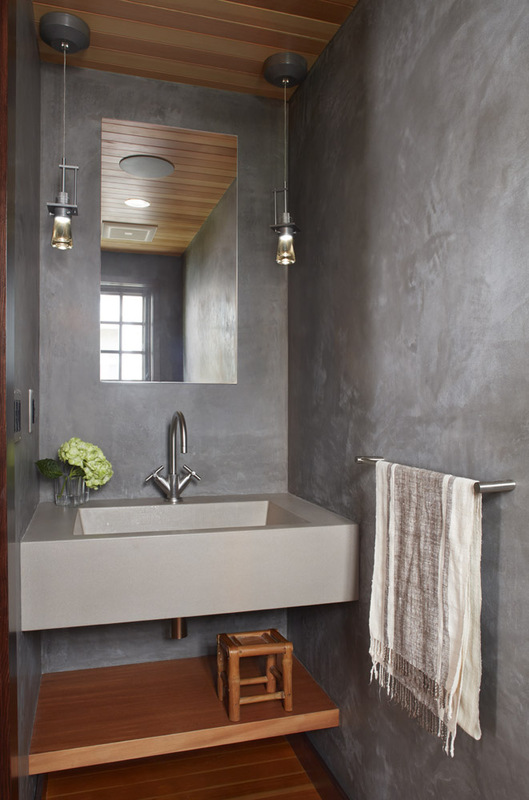 Light washes over the hand-plastered walls in the bathrooms.